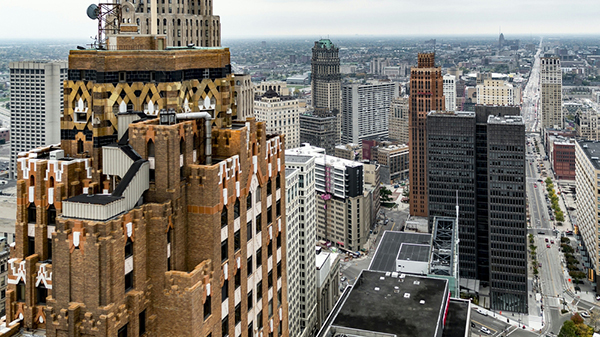 ​By many measures Detroit is the most popular real estate market in the country. If you do a quick google search on the best cities to purchase real estate, you'll find Detroit atop many lists. The reason is simple: Detroit provides the best combination of capital gains and high cash on cash yields. Many investors who start to research Detroit ask the question: "Did we miss the boat in Detroit?" Generally, the answer is no. Of course, investors that purchased in 2012-2014 entered the market in the early stages of recovery and thus they are doing pretty well now that values have risen steadily. However, by working with the right team on the ground investors can essentially turn back the clock. There are still deals in the market that can be acquired at 2014 prices. US Investor Group presents investors with exclusive, off market deals. We secure the exclusive rights to market the portfolios of large institutional investors as well as individuals. We negotiate deals on a wholesale basis, allowing us to offer properties significantly under their current market value. While investors from around the world are flocking to Detroit, many are unsure about where to start. Most importantly, investors want to know where to invest in the sprawling city. With the city's land mass exceeding 140 square miles it's no wonder many first time investors can be overwhelmed when conducting due diligence. This is where our team of experts can take the guess work out of the equation and provide you with the most up-to-date, relevant information. We know the city street by street, and monitor trends within micro neighborhoods, not just by zip code. As a general rule of thumb, the best investment neighborhoods in Detroit tend to be those that border the suburbs. We find this to be the case in East English Village, Aviation Subdivision, Bagley, and the University District just to name a few. It is important to monitor trends to stay ahead of the game and focus on the areas which will provide the best growth potential. One major trend we are witnessing is the upswing in home owner financing in many of the city's top neighborhoods. In the aftermath of the mortgage crisis, banks essentially stopped lending in Detroit. It became a market strictly driven by cash sales. Investors kept the market afloat for several years, along with help from city institutions like the Detroit land bank. Now, we are starting to see tons of comparable sales sold on mortgages in higher end neighborhoods. The more comps, the easier it becomes for the next property to be sold. It helps that the largest mortgage originator in the United States is right here in downtown Detroit: Quicken Loans. While Quicken founder Dan Gilbert has invested billions of dollars into Detroit's commercial center, his company has been providing a huge boost to Detroit's neighborhoods by lending to homeowners. Properties in neighborhoods like Rosedale Park and Grandmont are selling for well over $100,000, something that felt like a long shot just a couple years ago. We project that Detroit's premium neighborhoods will continue to climb, notably on the northwest side. There are also small pockets of the east side that are also witnessing this trend. While Detroit can be a very profitable destination for your investment dollars it is important to invest the right way and to avoid common mistakes. As always, if a deal sounds too good to be true, it usually is. Avoid companies that promise net yields that seem ridiculously high. A good deal in Detroit should be able to perform at a double digit net yield. So yields of 9-13% are achievable in good neighborhoods. With so much inventory in run down areas, there are companies that offer properties in these neighborhoods with seemingly attractive yields. However as good as these returns look on paper, they often do not meet these projections in reality. Some areas of the city are less stable, have lower occupancy rates, and higher tenant turnover rates. Also, it's important to note that some of Detroit's best neighborhoods aren't necessarily the best areas to invest. Corktown, Midtown, and Brush Park are all booming but property values are sky high. It's wiser to invest in neighborhoods that are on the brink of a major upswing. US Investor Group can help mitigate your risk by identifying the most feasible investment neighborhoods. Perhaps the most important part of the investment post-sale is working with a reliable property manager. Many investors make the mistake of hiring a manager with the lowest fees. This isn't a good way to evaluate a manager. We set up all of our clients with a well vetted and experienced manager that will oversee the property with diligence and care. Avoiding mistakes and working with the right team will ensure your investment performs consistently and as advertised. Contact us today to learn more about the investment process.